Our Sage and Brown Diamond Texture Mug Duo features two stoneware mugs that are stylish and elegant and have a comfortable feel in your hand. 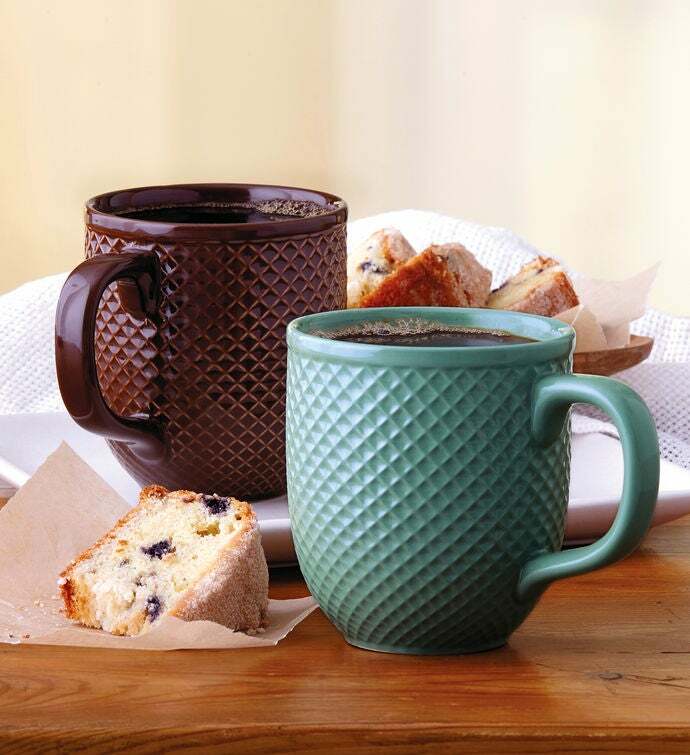 With two cheery colors and a sophisticated textured design, these mugs will brighten the kitchen and complement your table. These versatile mugs are durable—both microwave and dishwasher safe—and each will hold 18 fluid ounces of your favorite hot or cold beverage.